Singapore Pain Solutions is a chiropractic practice in Singapore that focused on delivering professional chiropractic treatments services for patients suffering from various pain ailments. Dr Jenny, one of the co-founder for Singapore Pain Solutions, is a trusted contact that I knew through our last BNI Chapter Networking. 2 years ago, she was in the midst of establishing Singapore Pain Solutions and she came to us to help her with the website design. With similar approach to Battery Empire, we advised her to look for her own digital marketing vendors and conducted a simple educative session after the delivery of the website. However, things did not went well between her and her digital marketing vendor. On the other side, Dr Jenny herself is working very hard to get social media presence in Facebook so Singapore Pain Solutions is able to reach out to more targeted customers. (and she is very good at it !!) Despite having an aggressively expanding social media audience base, the SEO for their website has been stucked at page 6-7. During that time, the website should have been launched for around 6 months already. Does SEO help Chiropractic Business? Because chiropractic is a relatively “new” thing in Singapore market at that time, most of the mass population will not consider chiropractic as an alternative to treat their pain issues, unless they are more adapted to the “western culture”. So in theory, influencing potential customers through social media and impression ads may be a better way to spend their marketing dollars instead of SEO. And yet, competitors are placing search ads (SEM marketing); to me this is a tell-tall sign that there is a market in Singapore for search engine based traffic for a chiropractic business. We did up an analysis report and send it to Dr Jenny. We told her that we are at a very early stage of offering SEO services; other than our own children birthday party photography brand, we do not have any professional credentials in helping businesses with SEO. She trusts us and give us the contract to work for her on SEO. We appreciate the trust as we knew, during those days, her funds were really limited. To commit a sum of money every month on unguaranteed SEO results is a very draining marketing expense. As per our core SEO mantra, we do not focus on creating backlinks. We focused heavily on understand the chiropractic business and bringing out the essence of their services to the website. We studied the market behavior and understand the buying process of a potential chiropractic patient. We even signed up for their services to truly understand the patient experience of the whole process. We also continuously work on improving certain elements of the web designs, improving the speed load, user experience and the structured information. In early part of 2017, we re-launched their website with a brand new look using our very own customized WordPress theme. Things started to improve after 2-3 months. It took us around 6 to 8 months to finally see significant growth in the organic search engine traffic and keyword rankings. 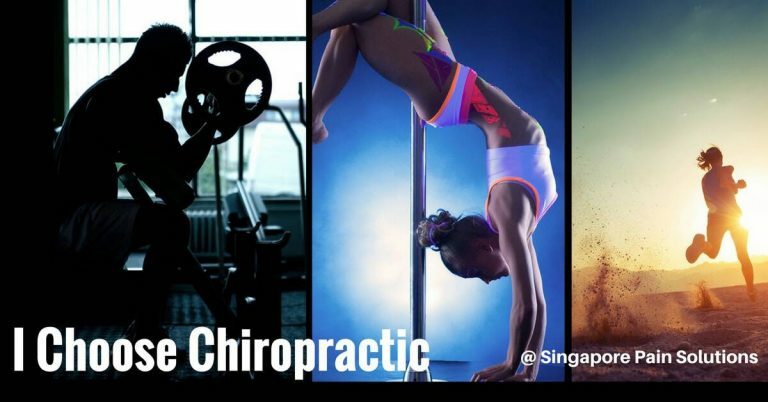 Updates on 11 May 2017: Singapore Pain Solutions is now ranking on top 3 positions for chiropractor related keywords consistently for few months already. SEO has also proven to be a critical success to their currently flourishing business! Singapore Pain Solutions Upgraded Treatment Center with their first staff ! We are glad to be able to help. At then end of the day, it is the difference you made in this world, that makes all your work meaningful. Next Post: Becoming SEO Expert. The Catalyst. The Struggles. The Climb. The Future.